The 2018 Chevrolet Tahoe Rally Sport Truck (RST) is the first of the new generation models to include a 420-hp 6.2-liter V-8 with an updated 10-speed automatic transmission. The new model also comes with a performance-calibrated Magnetic Ride Control system, which offers a more powerful engine and updated gearbox. Additional features included in the new model are a Borla exhaust, body-colored grille, Brembo brakes, black roof rails, and 22-inch alloy wheels. The updated model includes a wide range of features that make it one of the best sport utility vehicles in its class. Consumers who are interested in the new model visit an authorized dealer serving Libertyville Chicago Illinois for a test drive. 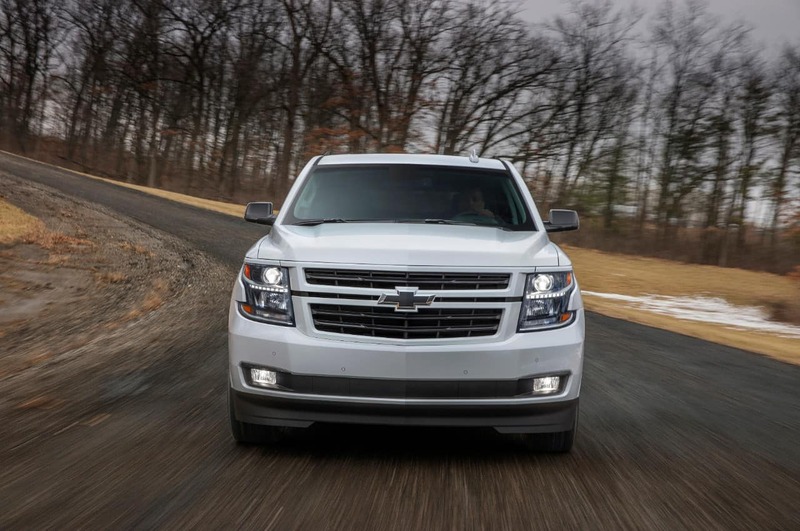 To learn more about the 2018 Chevrolet Tahoe RST for sale, contact an authorized Chevy dealership in the Chicagoland area. The exterior includes the unique Chevy bowtie grille and has sculpted flanks, LED daytime running lights, and a wide range of color options. 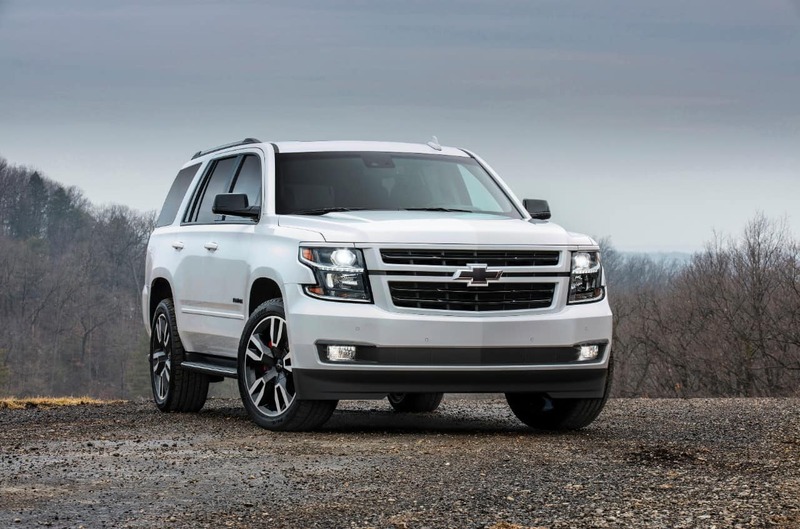 To find out more about the 2018 Chevrolet Tahoe RST for sale, contact an authorized Chevy dealer today.There are also optional power running boards, which are convenient for children are those who are shorter in stature. The 22-inch wheels and Bridgestone tires are exclusive to the new model. Additional information about the exterior features that come with the new model can be obtained by contacting Libertyville Chevrolet. To find specials offered with the new model, stay current with the Chicago news. The interior of the new Tahoe comes with comfortable driver’s seats with multiple adjust options, which includes LT’s power-adjustable pedals and a standard tilt steering wheel. The interior materials and upholstery are upscale and the controls are easy to adjust. There is also an 8-inch touchscreen that is simple to use and a console that provides ample storage. The new model has seven USB ports, an optional wireless charging station, a 110-volt three-prong outlet, and optional OnStar 4G LTE Wi-Fi connection. The available power-release and power fold-flat back seats allow up to 94.7 cubic feet of cargo space. The interior gives drivers and passengers everything they need for an enjoyable ride. 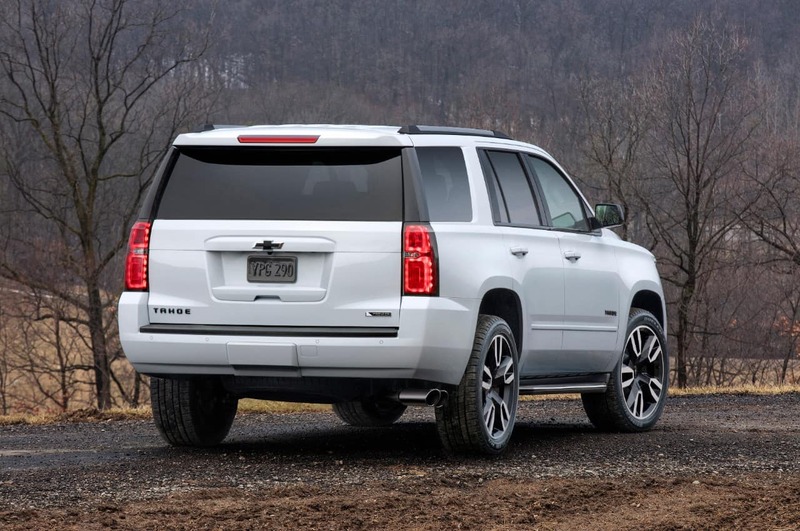 The new Tahoe RST comes with a performance package that includes a towing capacity of 8,400 pounds as well as 0-60 mph capability in less than six seconds. To learn more about the mechanical features included in the 2018 model, contact an authorized Chevy dealer serving Libertyville Chicago Illinois. 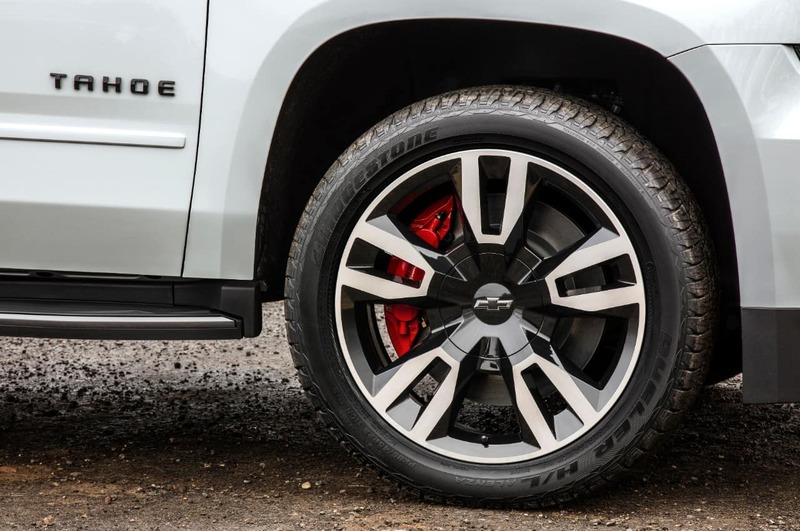 The Brembo six-piston front calipers and sturdy Duralife rotors give driver’s remarkable stopping power. The Borla exhaust is also available and has a 28 percent flow improvement. The mechanical features also come with up to 10 rear-wheel horsepower on the basic 5.3-liter V-8 engine. An autoblog.com review explained the magnetroheological suspension is one reason the new model stands out among its competitors. There are two V8 engines that are offered with the new model. The 5.3-liter 3-55 horsepower V8 has a high-tech fuel injection that gives the vehicle ample power. The new model also comes with Active Cylinder Management that has the ability to shut off half of the cylinders to conserve on fuel. The engine comes with a six speed automatic transmission that offers a seamless and smooth ride. A review from Cars.com states the adaptive suspension in the new model is superior to its competitors. Chicago news stations and newspapers are great places to check for specials included with the new model. If you want to know more about the powertrain, contact an authorized Chevy dealership in the Chicagoland area. There are a wide range of safety features included in the new model that provides drivers and passengers with superior protection. Safety features included with the 2018 model includes an Adaptive Cruise Control System, Collision Avoidance Braking, and In-Vehicle Assistance Service with OnStar guidance. There is also a stolen vehicle assist system and a hands-free calling feature with the updated model. If you are interested in the new model, contact an authorized dealership, such as Libertyville Chevrolet, to find out more. There are a plethora of authorized Chevrolet dealerships in the Chicagoland area that can provide further information about the new model. The 2018 Chevrolet Tahoe RST is a ideal choice for consumers in the market for a reliable and powerful SUV. Those considering the new model should contact an authorized dealer serving Libertyville Chicago Illinois. The new RST special edition offers drivers a smooth ride and significant towing capabilities. The remote keyless entry, stolen-vehicle tracking, panic alarm are just a few features that make the vehicle an optimal choice for those in the market for an SUV. The Kelly Blue Book review for the new model states the ample interior space, innovative safety and infotainment features, and V-8 towing capability is why the new model continues to dominate the full-size SUV category. 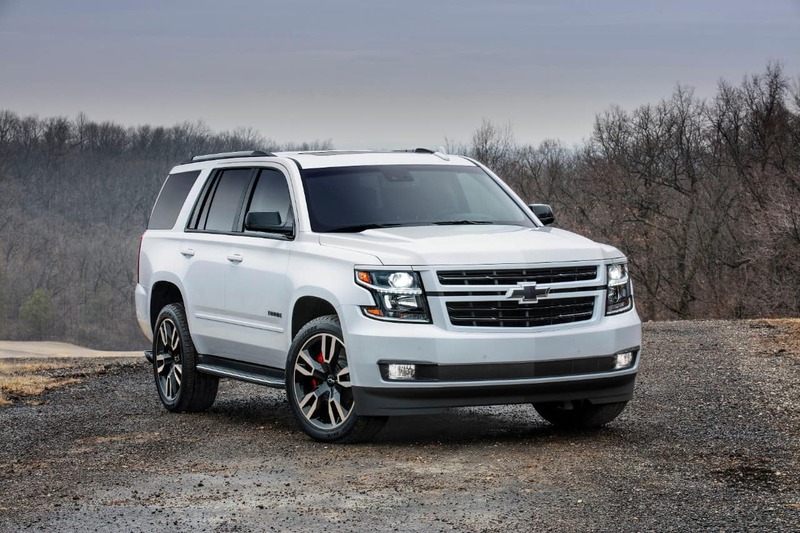 If you are interested in the new Chevrolet Tahoe RST for sale, there are many Chevy dealerships that often advertise current specials on Chicago news stations. Furthermore, Libertyville Chevrolet is an authorized Chevrolet dealership with knowledgable representatives that can answer any questions consumers may have about the new model.